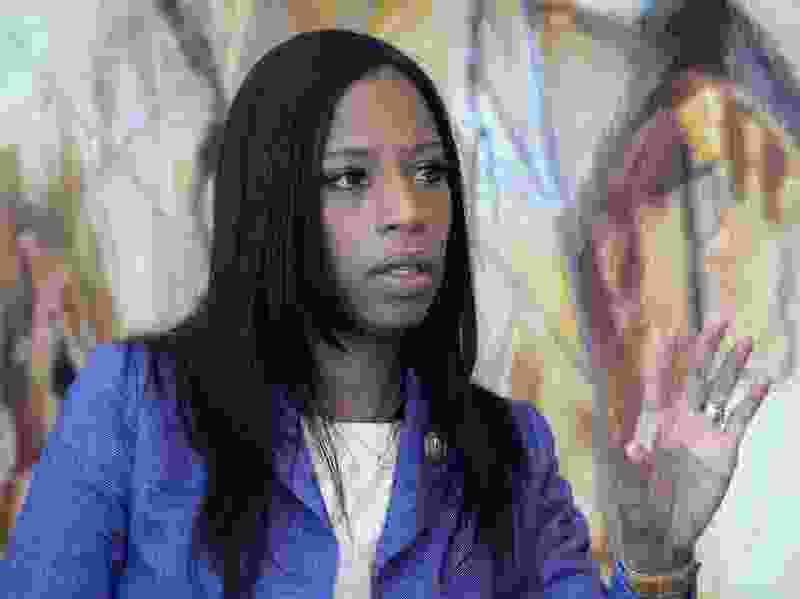 (Al Hartmann | Tribune file photo) Rep. Mia Love (R-Utah) speaks to the Salt Lake Tribune editorial board Thursday, Feb. 22, 2018. In a letter to U.S. Education Secretary Betsy DeVos, dated Wednesday, Utah Reps. Mia Love and Rob Bishop ask DeVos to withdraw her department’s recent position that states lack the authority to regulate private lenders contracting with the federal government. “The Department’s interpretation attempts to create broad new legal standards not intended by Congress under the Higher Education Act and undermines state efforts to protect tens of millions of Americans with student debt,” said the letter, with additional signatures by Rep. Suzanne Bonamici, D-Ore., and Rep. Jared Polis, D-Colo. In March, DeVos announced that federal law pre-empts states from taking regulatory action against student loan companies that participate in the U.S. Department of Education’s financial aid programs. Her directive came amid mounting tension between private lenders and state lawmakers, who have sought to protect students from predatory lending practices and ballooning education debt throughout the nation. In a written statement, Love said her concerns are focused on students who are not properly served by some lenders. Bishop, in a statement, said issues related to private lenders are best managed by states. “States, not the federal government, are best positioned to safeguard against the varied threats faced by student borrowers,” Bishop said.